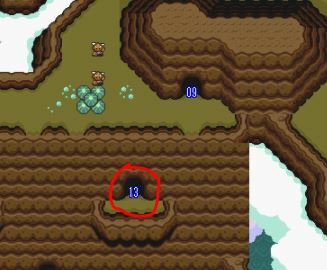 Mimic Cave is an item location that, while technically being located in Light Word, is only accessible through the Turtle Rock dungeon in Dark World. To access Mimic Cave, the player needs to navigate all the way through Turtle Rock and out the door to the outside in a small room with a line of skulls and laser eyes. After walking outside and all the way to the right, the player must mirror to the Light World – there is Mimic Cave. Mimic Cave is inherently Mirrorlocked, and in order to open the door to the item contained within, the player must also have the Hammer to bypass the moles. 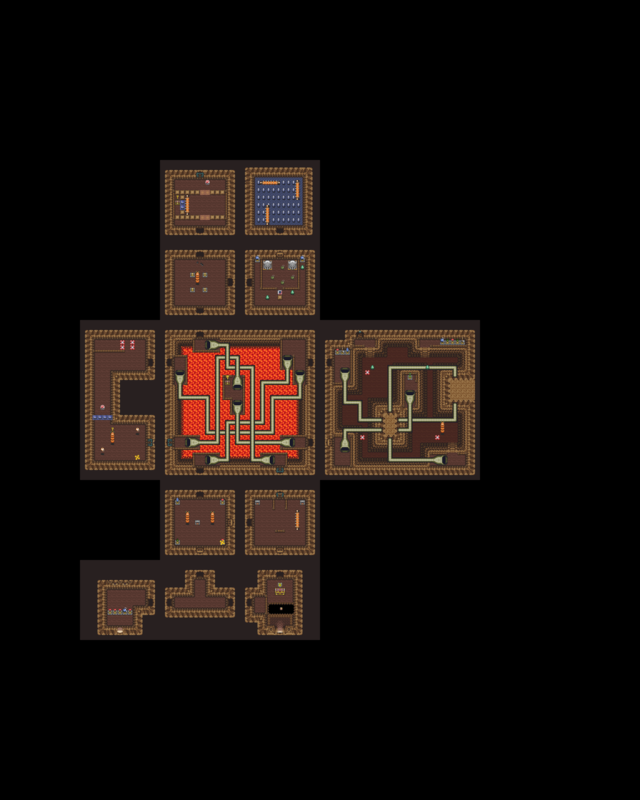 Additionally, the player must also defeat the four Mimics (officially known as “Goriya”) located here to open the doors, but if the player already has at least the Hammer needed to open the way to the back room, that won’t be prohibitive in getting to the item found here. 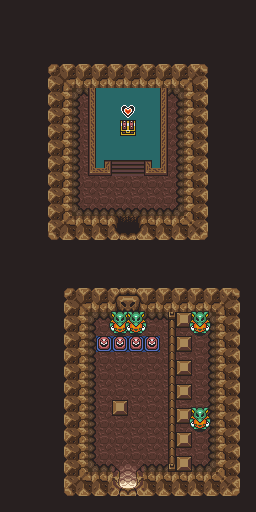 Given that this item location is locked behind the Mirror, the Hammer, and the Cane of Somaria at an absolute minimum, it can be quite frustrating to find a Go Mode item in Mimic Cave.